More than 3,000 cargo vessels move nearly 24 million tons of cargo including containerized cargo, break bulk, dry bulk and petroleum products through Port Everglades. As the busiest container port in the Florida, Port Everglades offers a full range of facilities and services for the cargo shipping industry. The Port's current facilities and planned expansions focus on transferring and storing all that waterborne commerce as smoothly and efficiently as possible. 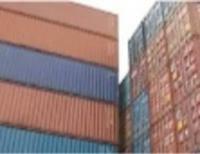 Whatever the cargo delivered, the Port accommodates shippers' requests. Future Development 271 Acres: Containers / Trailers, Warehousing, Intermodal Container Transfer Facility. Port Everglades Cold Storage, a privately owned and operated refrigerated warehouse, is centrally located in the Midport area and offers more than 68,000 square feet of variable-temperature storage. For outdoor storage, there are approximately 400 reefer outlets throughout the seaport, primarily 3-phase, 480-volt, 60-cycle, 100-amp plugs. Call 954-764-1781 for more information.